Syrian refugee children play in a kindergarten at the Midyat refugee camp in the southeastern province of Mardin, June 6. The EU has approved the transfer of a 400-million euro financial aid package for Syrian refugees in Turkey, as part of the 3+3 billion euros migrant deal. The new package is the first step in the 3-billion euro aid package, which is the second batch of the overall 6 billion euros of financial aid as agreed in March 2016. According to a press release by the EU Delegation to Turkey, the allocated 400 euro million will be directly transferred to Turkey's National Education Ministry, as reported Reuters. A protocol on a cooperation package was also signed in Ankara yesterday by the head of the EU delegation to Turkey, Christian Berger, and Deputy National Education Minister Reha Denemeç. During the meeting, Berger said efforts for Syrians in Turkey are ongoing and that the education of refugee children was a priority. Berger said the EU, "just like the United Nations and Turkey," could not allow losing generations without educations. He also praised the Turkish Education Ministry for the quality work done for nearly 600,000 Syrian children in the country. The EU will continue to support Turkey's work, he added. In addition to the 400 million euros, a further 100 million euros will also be allocated to improve the infrastructure of schools, Berger also said, and added that efforts are underway to support refugee children's integration process. The EU had decided on June 29 on how the transfer the second batch collected from the member countries. 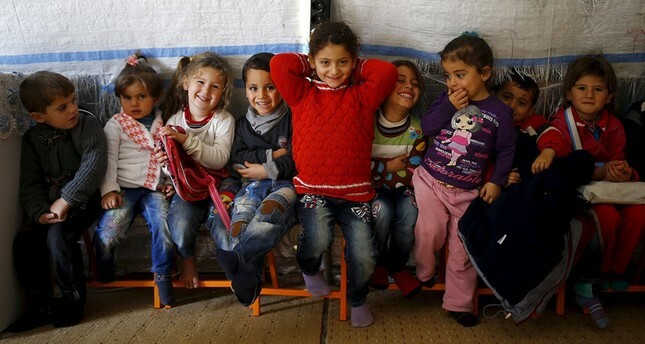 Denemeç said nearly 62 percent of Syrian children, which is about 655,000 refugee children, have integrated into the education system in the country, and that the aim was to increase this number to 100 percent. "About 91 percent of children at the primary education level are enrolled in school. This is a good number. However, when it comes to preschool, middle school and high school, the number goes down. It is important to increase the preschool enrollment to a higher level," Denemeç said. He added that when children are integrated at the lower level, it also minimizes the possibility of a language problem later and increases their level of integration into society. The deputy minister said enrollment at the high school level is lower "as it is not mandatory" and that children in this age group often end up working jobs to support their families. He said the government is working on directing this age group to vocational high schools to learn skills they need in the job market. The new project, called PICTES 2, will cover the next three years to support educational activities for Syrian children. Turkey and the EU signed an agreement on March 18, 2016, to stem the refugee influx to Europe. Turkey has been the main route for refugees trying to cross into Europe since the beginning of the Syrian civil war. With the agreement, irregular arrivals decreased over 90 percent, saving the lives of many of those who would have attempted a treacherous journey by sea. As part of the deal, the EU promised to accelerate Turkey's EU accession talks and visa liberalization. Education is the main concern for refugees, as young people and children make up the majority of Syrians taking shelter in Turkey.